Shaded straight fit suit in pink and orange. 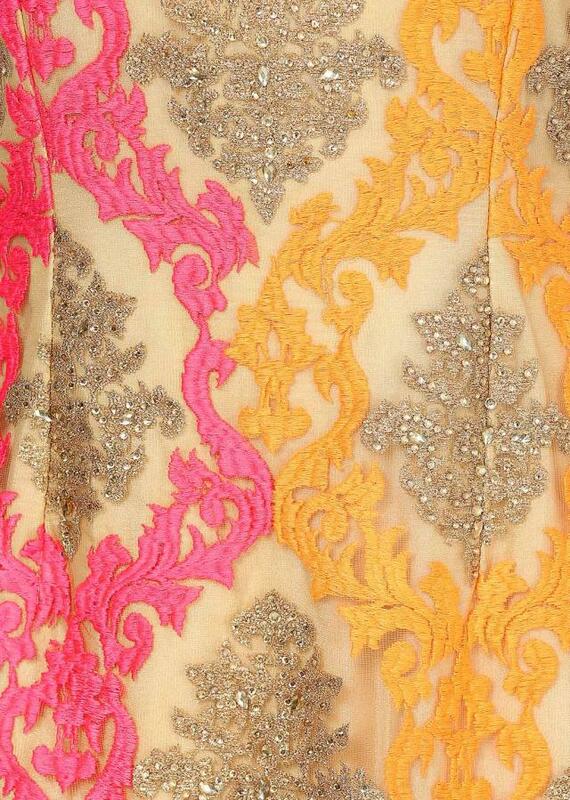 Its embellished in thread and swarovski embroidery. 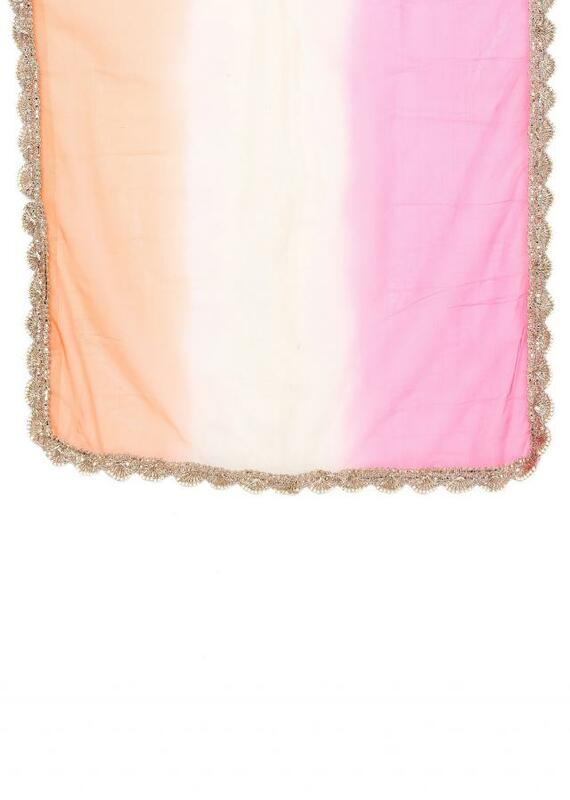 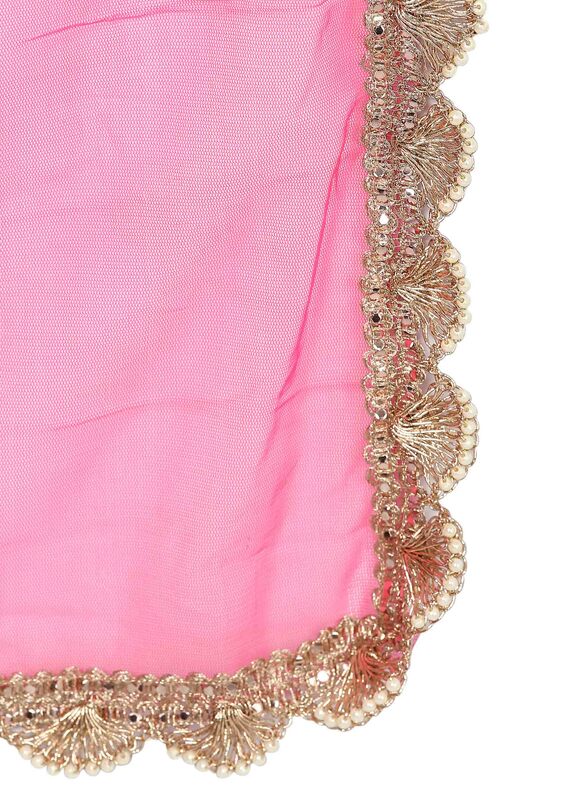 Churidar is in cream and dupatta is shaded in pink and orange.